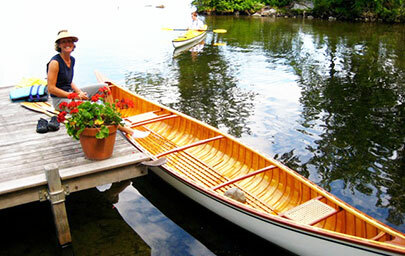 Experience the grace and beauty of a custom built wood and canvas canoe from Island Falls Canoe! 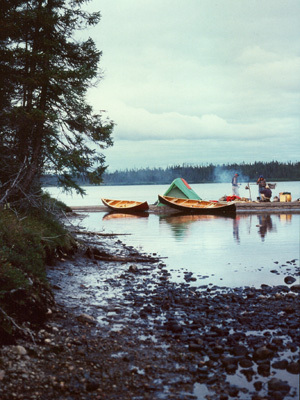 We have been building canoes since 1975 and with twenty different models and lots of beautiful options we can build the perfect canoe for your paddling pleasure. 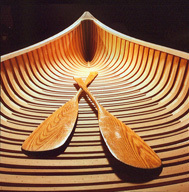 Only in a wooden canoe can you fully realize the peace and joy that comes with paddling a traditional, and elegant handmade watercraft, that perfectly suits its environment. 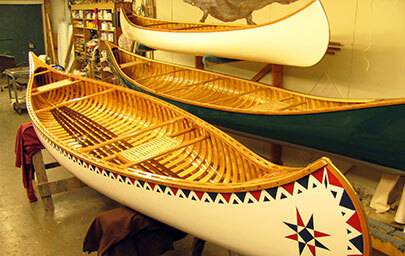 Our lovely wood and canvas canoes are built one at a time to special order in our canoe shop in Atkinson, Maine. 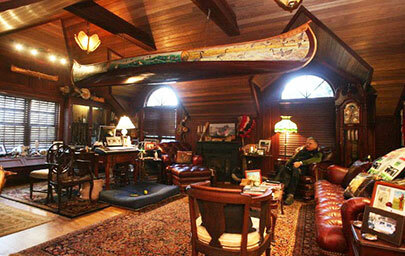 Since 1975 we have specialized in the enduring designs of 19th century canoe building pioneer, E.M. White of Old Town, Maine. Island Falls continues to use only the finest white cedar, spruce, white ash, mahogany and black cherry stock to produce new versions of these classic designs with all the integrity, styling, and grace of the original models. 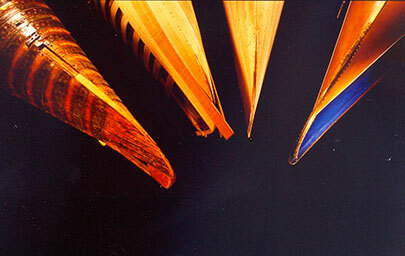 We also offer full restoration and repair services, scale model canoes, limited edition decorated canoes, and related artwork and books. 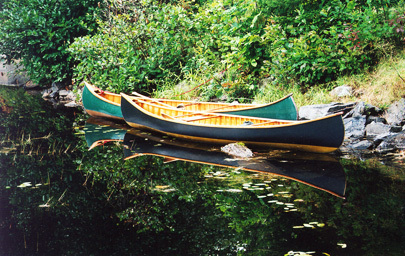 At Island Falls Canoe we take seriously your interests in acquiring the perfect, beautiful and enduring canoe of your dreams. Today was the maiden voyage of Chesuncook. I gingerly put the boat on my car rack, tied it down and set off for San Diego Bay. My daughter and I launched the canoe at the San Diego Yacht Club and there is no doubt who had the best looking boat there. 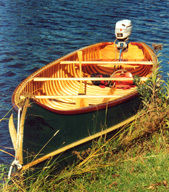 It is a remarkable boat. 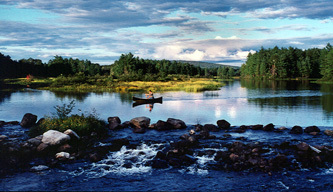 Relatively fast, a head turner, and a pure joy to paddle. Thank you for creating such a fine vessel.